Today I am speaking with illustrator, writer, kickstarter, and believer in crazy ideas Ashmae Hoiland of We Brave Women. We discuss her ideas of how to use art to build community and confidence as well as taking responsibility for the voice that you have. 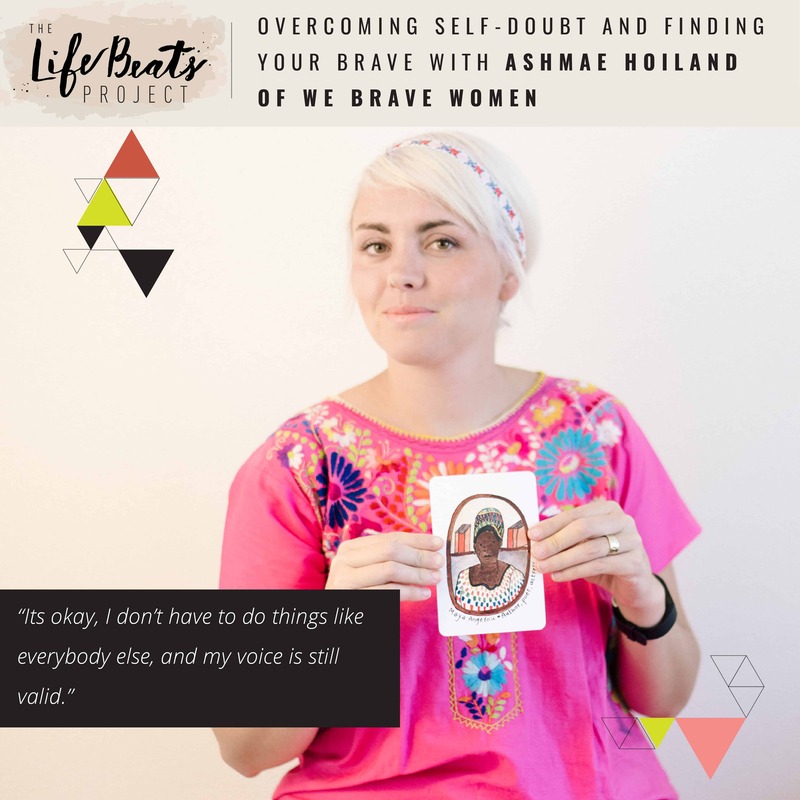 Ashmae shares her struggle with self-doubt and how her exploration of the meaning of the word brave through her Kickstarter project along with 3 things you can do to reveal your brave. Her Kickstarter involves 50 paintings of incredible women of the past put onto flashcards that she hopes will teach children from a young age that they are not alone and they can be who they are. The project stems from the idea that the more we know about and affirm one another, whether those are stories from the past or present or what we believe we can do, the more confident we become in what we are doing and that is how the world becomes a better place. This episode is perfect for those who are experiencing self-doubt in their voice or their place in the world, who are looking for ways to be brave in their life, and are ready to start owning their own crazy ideas. Such a great message. Found it very authentic and real. Love what you are doing with this. Keep it up! Thank you so much Jamie!! I know this subject is near and dear to your heart. I am so excited for the flash cards! I want some! Do I need to just sign up on her website for the newsletter? Nvmnd, I think I see that those cards are already for sale on her website? Hi Shannon! I am so glad that you found them on her website!! They are beautiful. My daughter loves them.